A Soviet poster on the cover of the journal Pelagea, here no. 3 for 1972. It would be incorrect to view the SFB within the context of feminist groupings as a continuation of the Action Council and forerunner to the women’s centers. On the contrary, the SFB vehemently opposed feminist positions. It was only years later that it laid claim to the terms feminist and autonomous. According to Frigga Haug, it was inexperience of all things that was responsible for the socialist women’s hesitant approach and thinking. To overstep the “the boundaries of our societal upbringing as ‘women’: reticence, modesty, inconspicuousness, morality”[xiv] was something with which the youth revolt and the anti-authoritarian movement had begun, developing their cultural revolutionary power and perspective, until, well, until the leftist cadre parties forced a return to authoritarian structures. It was the new, autonomous women’s movement that was the first to overcome this paralysis and find its way back to rebelliousness and courage. [i] Pelagea. Berliner Materialien zur Frauenemanzipation, ed. 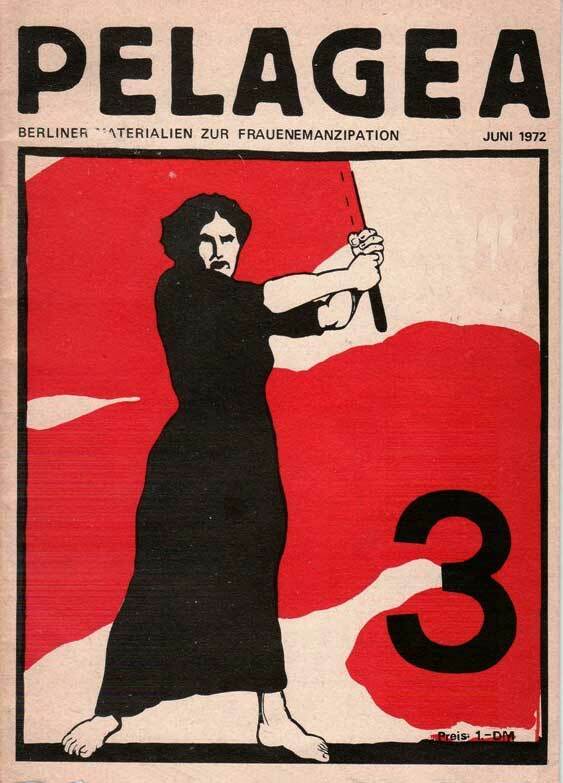 Sozialistischer Frauenbund Westberlin (SFB) 2/1971. [iii] Rita Mühlbauer, “Strategiemodell der neuen Frauenbewegung,” in Anita Albus et al (eds), Maskulin–Feminin. Die Sexualität ist das Unnatürlichste von der Welt (Munich, 1972), p. 238. [iv] Mühlbauer, “Strategiemodell,” p. 239. [v] On this, see the chapter National Overview (1973). [vi] Frigga Haug, “Perspektiven eines sozialistischen Feminismus,” in Autonome Frauenredaktion (ed. ), Frauenbewegungen in der Welt, vol. 1: Westeuropa (Hamburg, 1988), p. 32. [vii] Haug, “Perspektiven,” p. 34. [viii] Haug, “Perspektiven,” p. 33. [ix] Haug, “Perspektiven,” p. 34. [x] Haug, “Perspektive,” p. 34. [xi] Haug, “Perspektiven,” p. 38. [xii] Haug, “Perspektiven,” p. 40. [xiii] Haug, “Perspektiven,” p. 39–40. [xiv] Haug, “Perspektiven,” p. 34.